2018 is a Fei Kong year as many of you now know through direct personal experience or, because you have been reading my updates. To help us draw together the threads and lessons of this year - I recommend that you work with this meditation for a month or so. 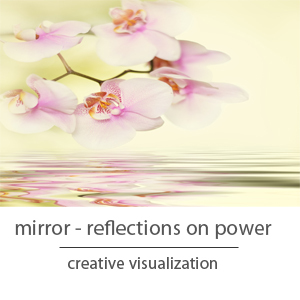 Reflections on power - that is the direct and indirect lesson of 2018. You will be feeling the impact of your interactions or those around you - we need only look to the untimely deaths of key people around our globe including Anthony Bourdain, XXXTentacion, Jackson O'Dell, Kate Spade, Harlan Ellison. The sister of the Princess of Holland. These are just a few who have passed my field of view in the last few months. We started with the final term of the 2018 Open Door programme at Mt Stuart Memorial Hall (supper room) which continues after the death of my dear friend Aviva Orgad - she is being replaced by Megan Hale who is doing a fabulous job. The Monday class is getting bigger and bigger which is wonderful with quite a few more people sticking with the training - a great outcome for everyone. The Continuation class is by invitation only - that is when you have got a good competence in the foundation moves you can progress to the continuation class. This has resumed in the Botanical Gardens in September. Tai Chi Summer will start 10th of December and run 3 days a week until the 6th of February 2019. A new class for beginners starts Tuesday 6th of November and will also run until it morphs into Tai Chi Summer. Here is an excellent article about health benefits of Tai Chi. Because of family events (marriages and visits from european family) the Mind in Motion classes will resume in February 2019! This is a brilliant non-fiction account of remarkable people in Africa (Mali) who set out to preserve the manuscripts of many millennia from the hands of the Boku Harem and Al Quaida invaders who were hell bent on destroying these amazing artefacts of Africa. It is written in a beautiful way with some speculation interwoven into the narrative which draws on 1st hand and 2nd hand interviews with people such as the former US ambassador to Mali. Rick has been researching in the area of neurobiology and neuroplasticity for many years. In fact he came to Australia in July for the Mindfulness conference in Melbourne. He has a rather lovely speaking voice (for an American) and is very evidently a meditator himself. Here is a TED talk he gave in 2013 about changing our self speak. click here if blocked by your browser. Thanks to Michelle for reminding me of what a thoughtful man Deepak is and how he has pushed the edges of our understanding of mind body medicine. I particularly like his reference to consciousness existing outside the space time continuum, outside form - that really makes us think doesn't it! Again click here to download if your browser blocks the video from downloading.